The Saturday of my parents’ visit we spent the day time at the outlet mall (I did get some goodies, I’ll feature those soon, I promise!). 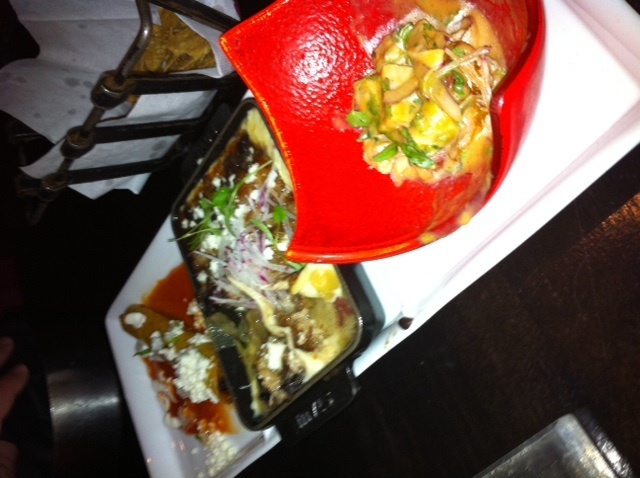 The night time festivities were a meal at Diegos, which is located in MGM Grand. It’s a fine dining Mexican restaurant, where my good friend Nicole is a manager. I had been a couple times before with friends and I was excited to check it out with my parents. I was also excited to see my friend Nicole, our schedules were pretty much opposite during the school year and my summer internship so we haven’t seen much of each other recently. Luckily unemployment has opened up my schedule so I should be seeing more of her soon! So now on to the food! Diegos has revamped their menu in recently and I was super excited to check it out. Mexican is definitely one of my favorite types of food, probably because it involves food that is fried and covered in cheese. And after ordering one, Nicole brought out two, since the bartender insisted I try the raspberry mojito, in addition to my mango one. 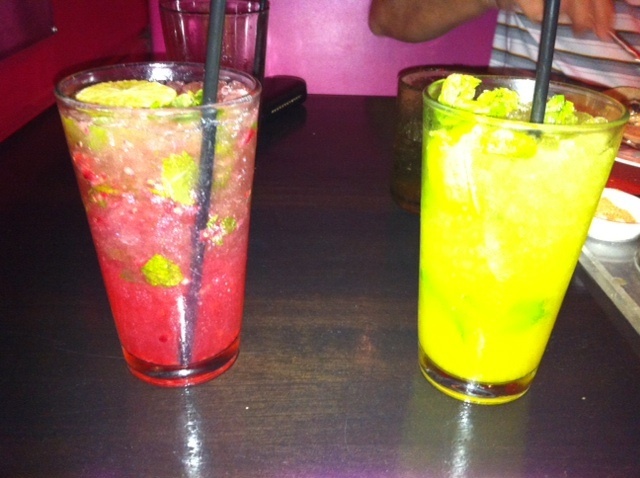 I LOVE mojitos! I’ve had the watermelon one at Diegos before (which is awesome) and wanted to try a mango one since that seems to be my fruit of choice recently. The mango one was everything I wanted: light, sweet and DELICIOUS! I even convinced my mother (who doesn’t drink, but will occasionally take a sip of my drink) to try it. She liked the mango one a lot, and the raspberry one was a lil stronger and too much for her. I liked the raspberry one, but I’m not huge on raspberries to begin with so I preferred the mango. I also haven’t been drinking as much lately (makes me too emotional) so I drank one and stopped there. 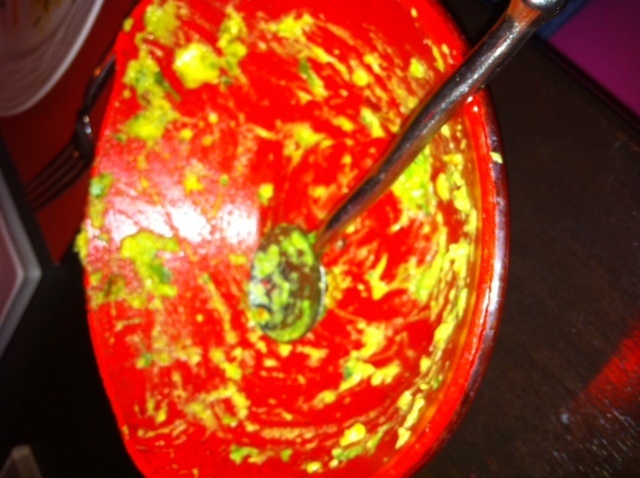 That was a full bowl of guacamole at one point, but we pretty much inhaled it in under 5 minutes. My dad (who has never tried guacamole and is super picky) LOVED it and was destroying it. They make it at the table for you and season it to your liking. I may have added some of that crack salt to every bite! They brought out 3 apps (one of which I was considering ordering as my entree until they brought them out). Taquitos which has braised beef inside and crema and guajillo salsa on the outside. They’re one of my fav things at Diegos and I may have added a lil of the crack salt. The middle is the Queso Fundido which according to the Diegos website is Traditional Baked Cheese with Poblano Chile Rajas, Negra Modelo Black Beans, and Pork Carnitas. My dad and I really got into this. It encompasses everything I love: carnitas, black beans and cheese! So delicious! The last dish was a swordfish ceviche. 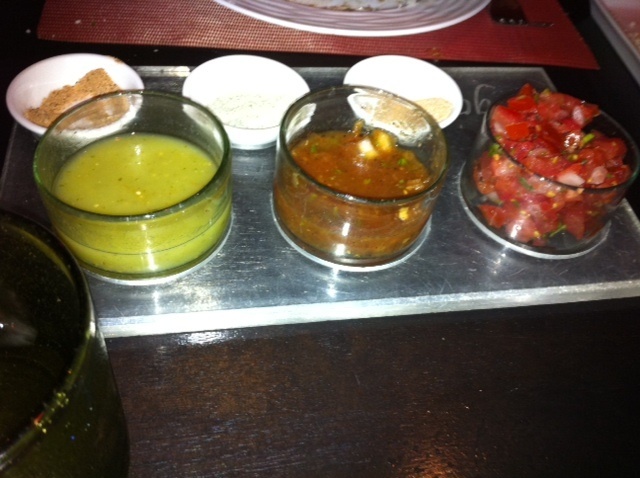 Ceviche is dear to my heart after my trip to Peru and this did not disappoint! My mom really really liked this as well! 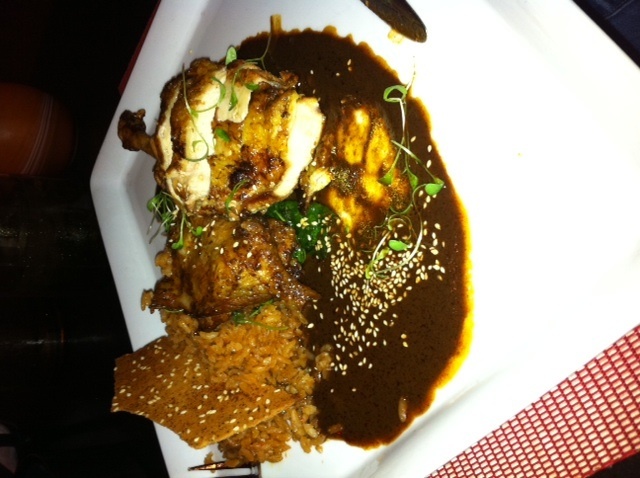 Pollo al Horno con Mole which is Wood-Oven Roasted Chicken with Oaxacan Red Mole, Red Chile Rice, Sautéed Spinach, and Toasted Sesame Seeds. My mom ate every bite of this! She knows her chicken and she said this meal was AWESOME (i can’t say from personal experience since my mom was not offering up bites)! Pork carnitas tacos. This was soo much, even for the two of us. We did our best, but I ended up getting to take half of this home (it made a great meal a couple days later). 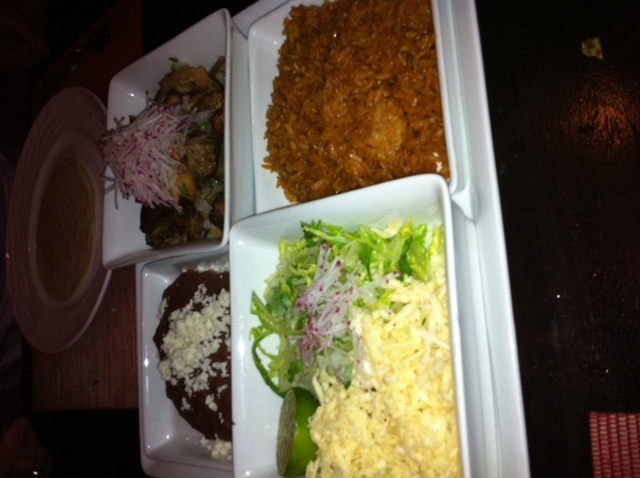 The carnitas was flavored well and this meal was really good! I know I’m so plain, but it’s all about textures with me and I just like my tacos with meat and cheese (and crack salt). 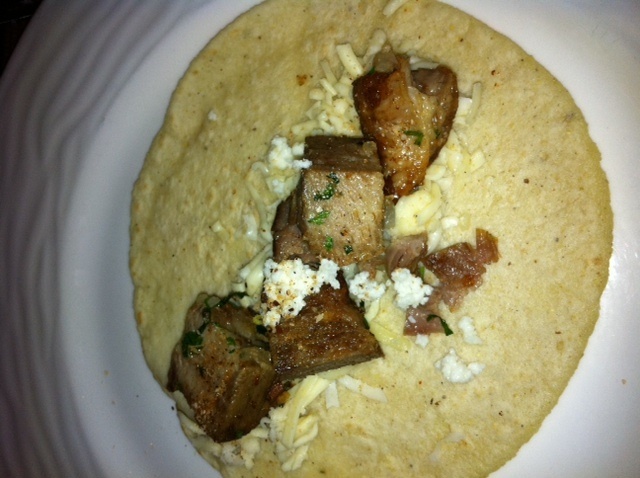 I normally don’t like corn tortillas but these went really well with the carnitas. We left this meal super STUFFED! Thanks so much to Nicole for taking such good care of us! You can check out Diego here. I recommend this movie to everyone! Both my parents loved it too! It has unexpected moments, it wasn’t a typical chick flick, which was really refreshing!